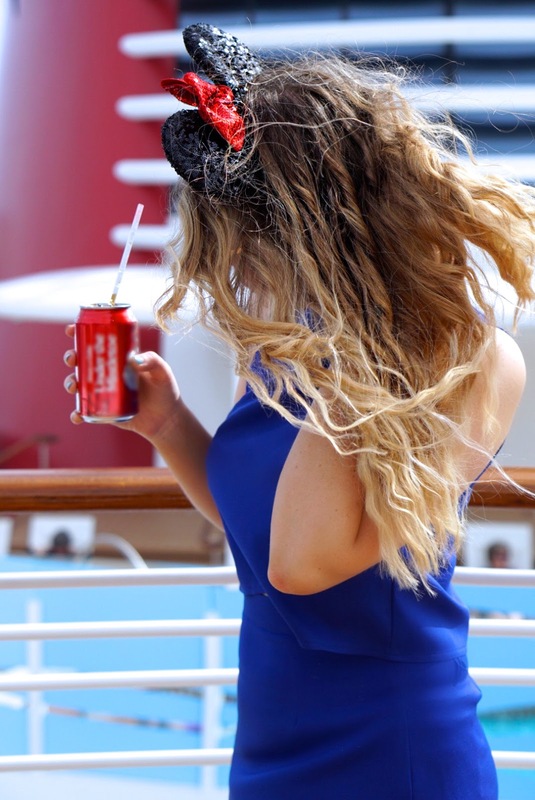 I was looking through my phone when I came across these photo's that we took when we went on the most amazing Disney cruise in January. We realised that we never actually shared these photos with you guys and they were definitely some of our favourite photo's from our trip away. 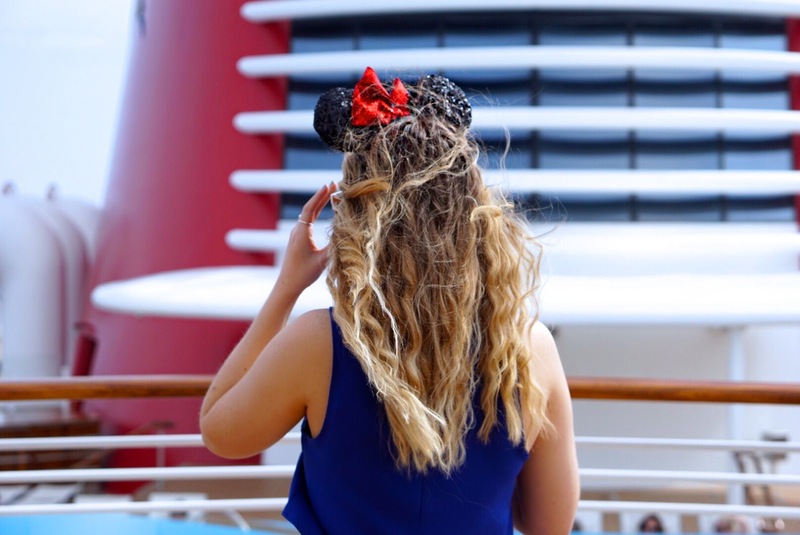 The Disney cruise was such an amazing backdrop to shoot some outfit posts so we decided to take some photos on the top deck of the ship. 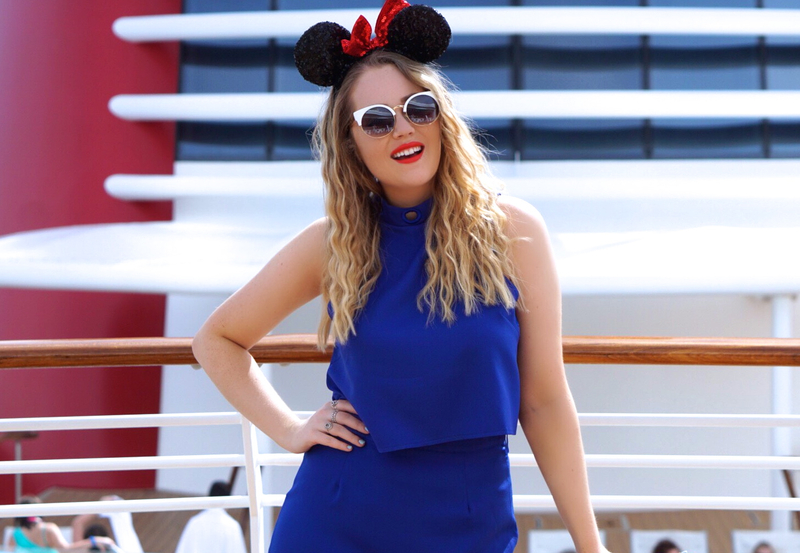 I love how I coordinated my outfit with the colours of the ship and this outfit is the perfect Disney cruise attire for a day on board! For my outfit, I wore this royal blue coordinate piece from Missguided. 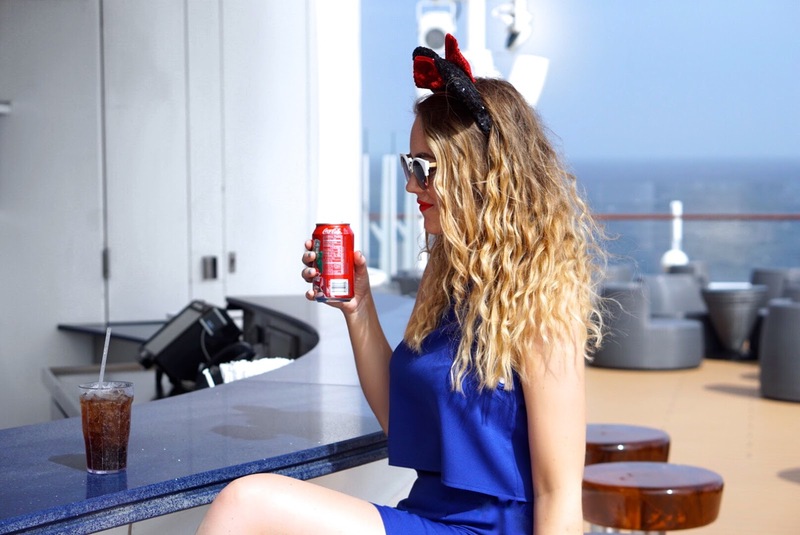 Missguided always do the most amazing coordinate piece outfits and this one made the perfect cruise outfit! I love the nautical vibe of this Missguided Eyelet High Neck Crop Top with the circle cut out detail around the collar and around the hem of this Missguided Eyelet Detail Mini Skirt. I also found matching royal blue shoes, also from Missguided. These Missguided sunglasses are one of my favourite pairs of sunglasses ever, round sunglasses are my favourite shape sunglasses and these ones work with so many of my outfits! 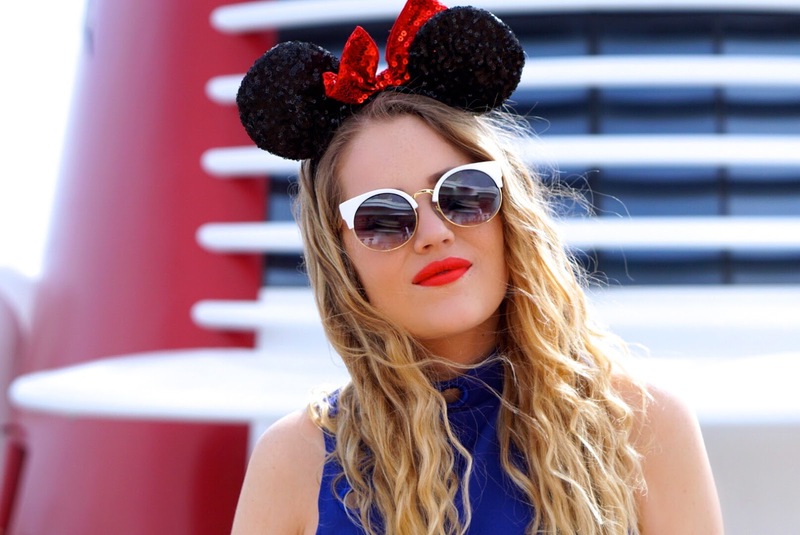 We had the best time on the Disney cruise, it was the most incredible trip!